To get a general idea of the normal alphabet of this block styled script look at the variant letter forms. The style is shaped squarish and absolute compact. 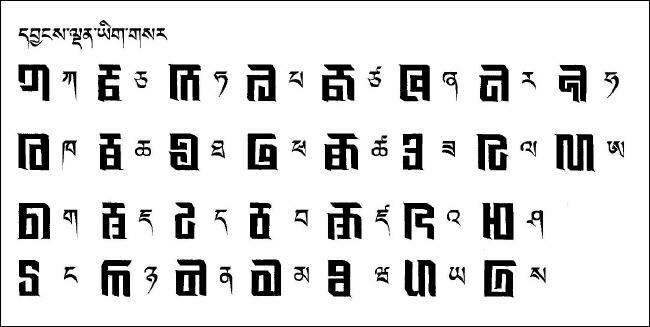 Some signs are similar to the Tibetan script, but it seems there was no real reason to use this script for writing Tibetan texts instead of using the native Tibetan script. To give a review of the vocalization click the next PDF-file. All letters are marked with the four vowel signs of i,u,e,o.